Buying a pressure washer is one of the important decisions in as far as your home improvement endeavors are concerned. Just as in many areas of electrical appliances today, pressure washers have largely developed rapidly in the last 10 to 15 years. Manufacturers have gone an extra mile to improve the technology and develop machines that will go beyond the usual expectation of a home appliance. During this period new manufacturers have also pooped up creating a wide variety of models of pressure washers to pick from when buying a pressure washer. A pressure washer is essentially a water blaster. It is a machine that uses electric power or gasoline (or petrol) to convert your usual hose low pressure water into high pressure water that you can use for cleaning. This is achieved by a pump. engine or electric motor in the case of electric powered pressure washers. This information is important background information to know as you look to buy your pressure washer. You will need to be familiar with pumps, engines and so on in order to make a good decision. Pressure washer can essentially be divided into two namely lower pressure washer and higher pressure washers. These translate into home pressure washers and industrial pressure washers. When buying a pressure washer good tips will insist that you first be clear of what purpose you are getting your washer for. Is it for home use, for commercial industrial use or any other heavy use. Home pressure washers are usually those that are lower than 2500 psi. PSI here standards for pressure per square inch which is also known as bars in Europe especially the UK. 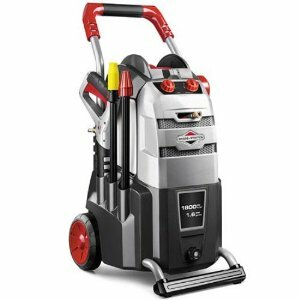 In addition home pressure washers are also electric powered for good reason. They have no fumes which can be dangerous for indoor use as happens at home. They come with an electric code often as long as 50 feet which should be double insulated to prevent electric shock around the home. These are all good look-outs and tips for buying a washer. In most cases people who buy pressure washers for home use intend to clean their driveway, garage, grill, boat, patio and ATV amongst other typical home projects. These jobs are typically accomplished by a 2000psi at 3.0GPM pressure washer. We have essentially been dealing with pressure washer specifications in the forgoing paragraphs. These are product features and functions. The other consideration when buying your pressure washer is how portable it is. Portable washers are good around the home. However there has to be a balance as the more portable a washer is without wheels the less power it will likely have. Price is another factor to consider even though great caution should be taken on this aspect. Price should be the last consideration outdone by a pressure washer first meeting your purpose. Apart from home pressure washers higher powered washers such as those with 3000 psi to 4000 psi are typically designed for heavy industrial use. These are generally more expensive and in the $1000.00 region. They are often gas powered and make a lot more noisy when running compared to electric washers used around the home. Buying a pressure washer with such power means you have commercial business or heavy duty industrial use in store for it. These are too powerful to use of around the home items such as cars and wooden material. They can literally rip apart your property. When buying an industrial heavy duty pressure washer you will obviously need to consider a few important tips. To begin with Honda powered engines are very good. This also includes pressure washers with a Briggs and Stratton engine. The more powerful your engine measured in horse power (HP) the more powerful your washer will be combines with the psi and GPM of the washer. Washers with a Comet water pump are also recommended as Comet has one of the best pumps for pressure washers. Comet pressure washer pumps are widely used as replacement pumps by owners of many different pressure washer brands. Whether your desired pressure washer is hot water or cold water pressure washer also matters. Even though the majority of washers on the market today are cold water washers, hot water pressure washers are also popular. These do a more through job of cleaning and will obviously used for certain environments especially those requiring disinfecting such as ablutions and so on. Hot water pressure washers are not only limited to industrial washers but also home pressure washers. Overall buying a pressure washer should be an exercise afforded enough time for research. 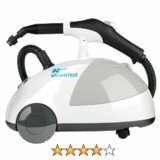 You may also consider and it is recommended to read as much of online reviews as possible on your preferred washer. It is through the experiences and encounters of other buyers gone before you that you will gain more insight into the pros and cons of any given washer, When buying an industrial heavy duty pressure washer you will obviously need to consider a few important tips. To begin with Honda powered engines are very good. This also includes pressure washers with a Briggs and Stratton engine. The more powerful your engine measured in horse power (HP) the more powerful your washer will be combines with the psi and GPM of the washer. Washers with a Comet water pump are also recommended as Comet has one of the best pumps for pressure washers. 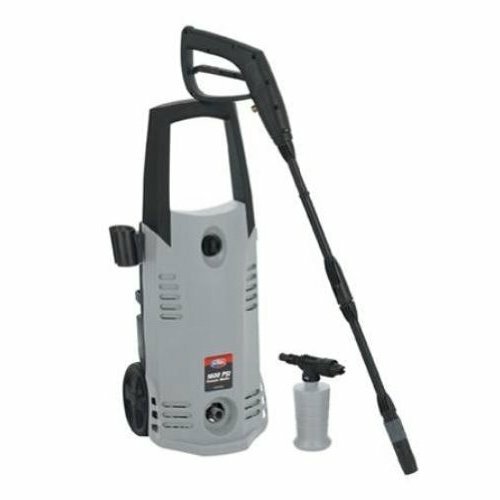 Comet pressure washer pumps are widely used as replacement pumps by owners of many different pressure washer brands. 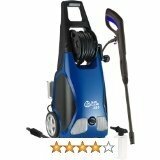 There are also tens of pressure washer accessories that you will take time consider. These will make your work with your washer much easier and very effective. Typical accessories meant to be attached to specific washer models include rotating wash brush and surface cleaners.